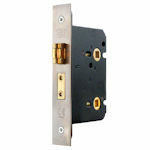 The Locks & Latches detailed in these sections represent only our most popular products. Additional types are also available. 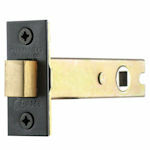 Mortice Roller Bolt Latches are housed in the door edge & are fitted to doors where a simple push/pull action is required. We offer a range of adjustable roller latch types suitable for the vast majority of applications from light residential use through to heavy commercial situations including fire rated doors. 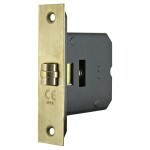 Mortice Latches are housed in the door edge & are normally operated by lever handles, door knobs or ring handles. 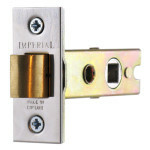 We offer a wide range of latch types suitable for the vast majority of applications from light internal use through to heavy commercial situations. Our tubular latches, box latches & upright latches can be selected for use lever type door handles while our deep tubular latches & horizontal latches are specifically designed for use with door knobs & ring handles. 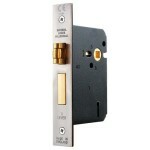 Mortice Privacy Deadbolts are housed in the door edge & are normally operated by an internal thumbturn with external release to provide a stand alone privacy function on bathroom doors & toilet doors. Our privacy bolts are suitable for the vast majority of applications ranging from light residential use through to heavy commercial situations & are available in a full range of sizes & finishes. Mortice Bathroom Locks are housed in the door edge & have a deadbolt operated by internal thumbturn & external release, & a latchbolt normally operated by lever handles or door knob furniture. We offer a range of Upright Bathroom Locks in standard UK & Euro sizes for door lever handles together with Horizontal Bathroom Locks specifically designed for use with door knob furniture & ring handles. Suitable for the vast majority of applications from residential use through to heavier commercial situations & in case sizes from 2.5" (63mm) through to 6" (152mm). 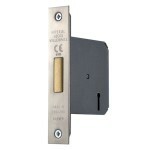 Mortice Deadlocks are housed in the door edge & have a deadbolt operated by key from both sides. Our 3 Lever Deadlocks offer a medium degree of security & are recommended for internal or external use where higher security products are not required. Suitable for the vast majority of applications from residential use through to heavy commercial situations, these locks are available in case sizes from 2.5" (63mm) to 4" (101mm) & in a range of very popular architectural finishes. Mortice Sashlocks are housed in the door edge & have a deadbolt operated by key from both sides & a latchbolt normally operated by lever handles or door knob furniture. Our 3 lever locks offer a medium degree of security & are recommended for internal use where higher security products are not required. We offer a range of Upright Mortice Locks for door lever handles & Horizontal Locks specifically designed for use with door knobs & ring handle furniture. Suitable for the vast majority of applications from residential use through to heavier commercial situations & in case sizes from 2.5" (63mm) through to 6" (152mm).